Krishan incense sticks, full box of 120 incense fragrance sticks. Fragrance : Premier Sandal.A ..
Krishan incense sticks, full box of 120 incense fragrance sticks. Fragrance : Premium Chandan.A..
Krishan incense sticks, full box of 120 incense fragrance sticks. Fragrance : Red Cherry.A deli..
Krishan incense sticks, full box of 120 incense fragrance sticks. 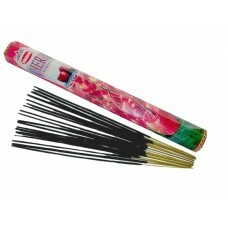 Fragrance : Rose Musk.A delic..
Krishan incense sticks, full box of 120 incense fragrance sticks. Fragrance : Sandal Rose.A del..
Krishan incense sticks, full box of 120 incense fragrance sticks. 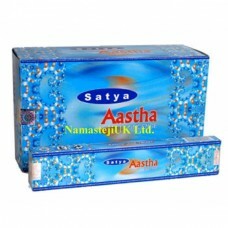 Fragrance : Vanilla.A delicat..
Krishan incense sticks, full box of 120 incense fragrance sticks. Fragrance : Violet.A delicate..
Genuine nag champa incense sticks fragrance. Flavour : Arabian Musk. Each stick is about a..
Genuine Nag Champa Incense Sticks fragrance. Flavour : Ashtha. Each stick is about a gram,..
Genuine Nag Champa Incense Sticks fragrance. Flavour : Aura Cleansing. Each stick is about..
Genuine Nag Champa Incense Sticks fragrance. Flavour : Buddha Blessing. Each stick is abou..
Genuine Nag Champa Incense Sticks fragrance. Flavour : Chakra. Each stick is about a gram,..
Genuine Nag Champa Incense Sticks fragrance. Flavour : Champa. Each stick is about a gram,.. 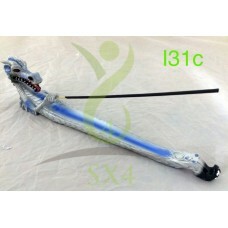 Ceramic Chinese dragon novelty design incense holder burner ash catcher.Size :- Approx 12" Attr..
Genuine Nag Champa Incense Sticks fragrance. Flavour : Dragon's Fire. Each stick is about ..
Genuine Nag Champa Incense Sticks fragrance. Flavour : Dragon's Blood. Each stick is about..
Genuine Nag Champa Incense Sticks fragrance. Flavour : Egyptian Jasmine. Each stick is abo..
Genuine Nag Champa Incense Sticks fragrance. Flavour : Emotions. 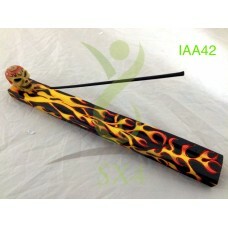 Each stick is about a gra..
Fire skull dragon novelty design incense holder burner ash catcher.Size :- Approx 12" Attractiv..
Genuine Nag Champa Incense Sticks fragrance. Flavour : French Lavender. Each stick is abou..